INDIANAPOLIS - International scholar Dr. Una Okonkwo Osili has been named director of research for the Center on Philanthropy at Indiana University, Patrick M. Rooney, executive director of the Center, announced today. Osili, who succeeds Rooney as research director, has served as interim director of research at the Center since October 15, 2008. She will develop new research initiatives, convene scholars and nonprofit professionals nationally and internationally, direct the Center’s research department, and serve as lead researcher on several research projects. 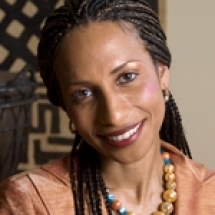 Osili’s vision for the Center’s research program includes disseminating research to scholars and nonprofit professionals, building knowledge about how philanthropy varies in diverse communities, and strengthening research networks in the U.S. and internationally to help meet growing demand for knowledge about philanthropy. An associate professor of economics and Philanthropic Studies at Indiana University-Purdue University Indianapolis (IUPUI), Osili has served as a consultant for the United Nations Development Program, the United Economics Commission for Africa and the Federal Reserve Bank of Chicago. Osili also served on the International Scientific Panel for the Council for the Development of Social Science Research in Africa/Macarthur Foundation Real Economies of Africa program and as a member of the Expert Advisory Panel for the Economic Report on Africa published by the United Nations Economic Commission for Africa. Osili has published articles in academic journals such as World Development, World Bank Economic Review, Journal of Population Economics, and Economic Development and Cultural Change, Journal of Development Economics and the Review of Economics and Statistics. She has also contributed to several edited volumes and books. In 2006, she received the Stevenson Fellowship from the Nonprofit Academic Centers Council, and in 2007, she was appointed as a fellow of the Networks Financial Institute. Osili earned a bachelor’s degree in economics with honors from Harvard University and a master of arts and a Ph.D. in economics from Northwestern University. She is involved in several nonprofit organizations, including serving as the chair and co-founder of the Philippe Wamba Fund for Road Safety in Africa. The Center on Philanthropy at Indiana University is a leading academic center dedicated to increasing the understanding of philanthropy and improving its practice worldwide through research, teaching, training and public affairs programs in philanthropy, fundraising, and management of nonprofit organizations. A part of the IU School of Liberal Arts at IUPUI, the Center operates programs on the IUPUI and IU Bloomington campuses. For more information, please contact Adriene Davis at 317-278-8972 or adrldavi@iupui.edu or visit www.philanthropy.iupui.edu.